Although it may not be the official “happiest place on earth” California Wine Country is like a Disneyland for adults — 24 million of whom visit the valleys annually (which is WAY more than Disneyland’s 16 million visitors a year… #justsayin). To me, Napa Valley, has always been an outpost for rest, relaxation and — of course — refreshments (you know the kind). I visit the valley, not only for R&R, but also to taste some world-class, exclusive-to-Napa wines, and to perpetuate my wine snobbery knowledge in the process. Therefore, I prefer to avoid crowds and opt for more intimate tastings and exclusive, off-the-beaten path experiences. In doing so, I’ve discovered some absolutely amazing boutique wineries who boast exclusive, personalized tasting experiences that are much more memorable, educational, authentic and all-around better (in my opinion) than what can be had at the large, corporate labels. 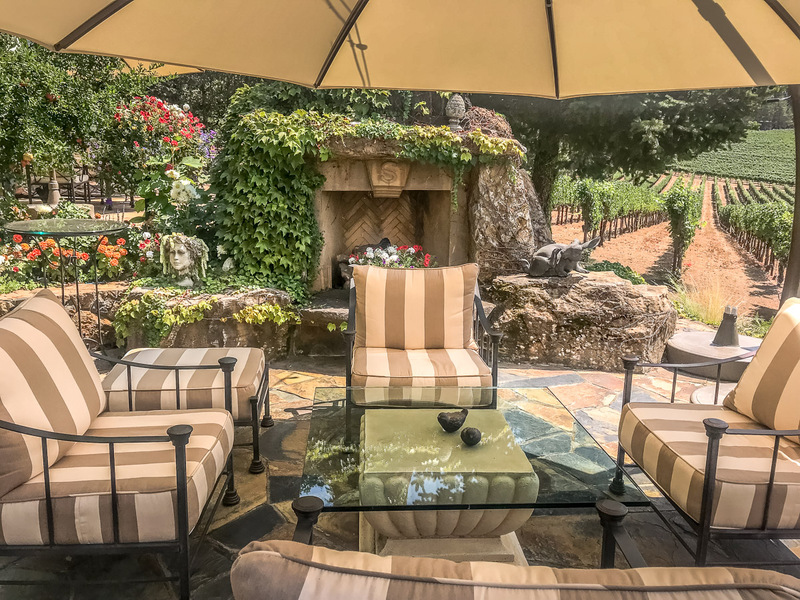 Deciding where to stay in Napa Valley may be your biggest challenge. With hotel demand increasing much quicker than room supply, the nightly rate for area hotels continues to rise (the countywide average hotel rate is ~$310/night) while room availability is quietly decreasing (average hotel occupancy rate is ~81% — up from 69% last year). In short, area accommodations are getting more expensive and less available. So, how should you go about finding a great hotel, in an ideal location, that won’t break the bank? My solution: Priceline Express Deals. Priceline express deals are the absolute best deals Priceline offers, and can help you save as much as 60% off hotel rooms — not just in Napa, but anywhere. (PLUS you can save an additional 10% if you use the code EVERYDAY10). If you know the general area you’d like to stay when traveling, but aren’t set on a specific hotel, I highly recommend browsing Priceline’s express deals before booking anywhere else. The booking process is super easy: You simply choose a location/neighborhood, browse the express deals available in that area (you can sort by star-rating and browse amenities + user reviews), then choose a hotel that fits the star-rating / price combination you’re looking for. That way you can get the best deal without sacrificing hotel/room quality. Viva la discount! 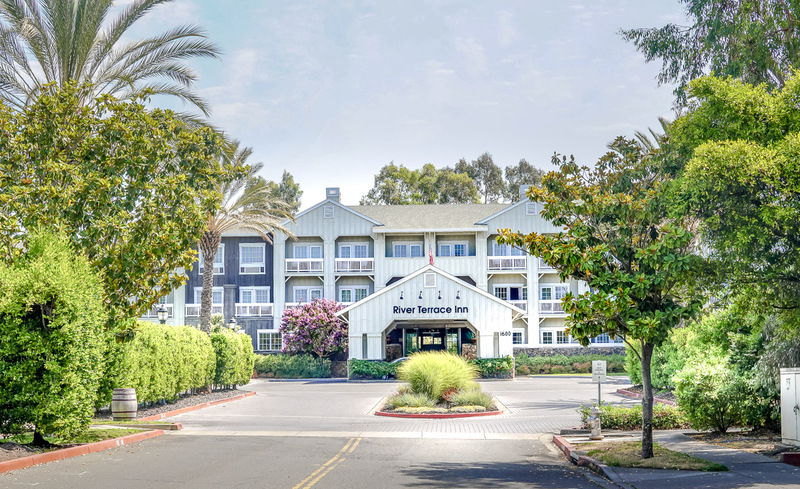 I used Priceline’s Express Deals on my recent trip to Napa and saved 22% off my stay at the River Terrace Inn (in Downtown Napa). The hotel was absolutely wonderful (right on the river, walking distance to downtown, centrally located in the city of Napa, etc.) and the extra money saved via Express Deals further contributed to the value of this luxury boutique hotel. 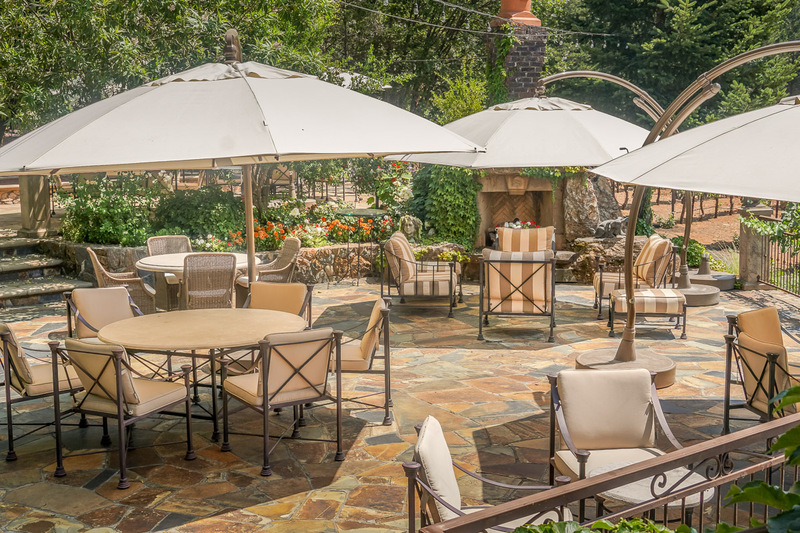 The River Terrace Inn was a great home-base for my Napa Valley visit. The room was large and comfortable, and the hotel’s location couldn’t have been better. 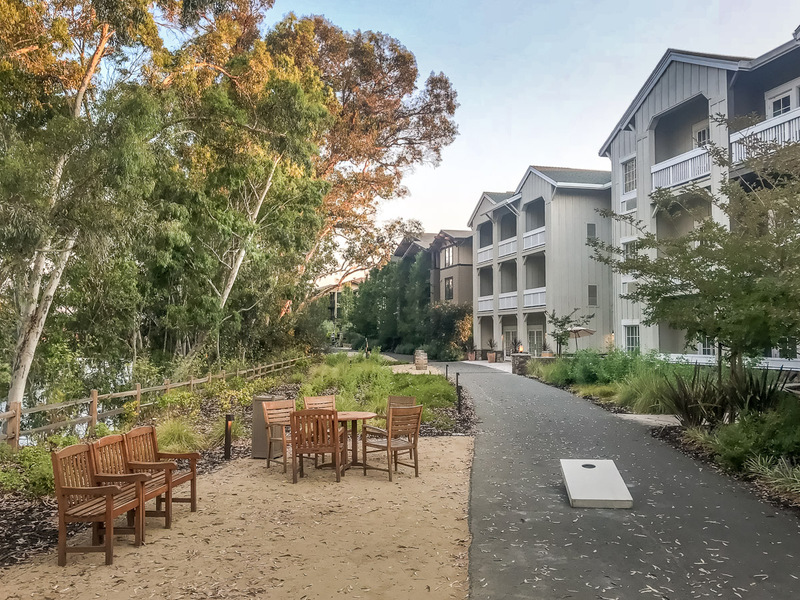 Situated along the Napa River, the hotel boasts a beautiful back patio with firepits and river views that provided a picture-perfect atmosphere for breakfasts in the morning and cocktails in the evening. It’s also walking distance to downtown Napa and the many shops and restaurants therein. I loved everything about this hotel and cannot recommend it highly enough. If you’re visiting Napa (or anywhere, for that matter) be sure to browse Priceline’s Express Deals AND use the code EVERYDAY10 to save an additional 10% off your room (if you book by October 2nd, 2018). “I’ve got my blowtorch somewhere, just bear with me” declared Peter as he frantically rummaged behind wine barrels and cork-filled-boxes in search of the last possible powertool I ever expected to see in a winery. He located said blowtorch next to the machine I had just used to cork my very first bottle of wine — which I now defensively clutched in my arms as Peter turned toward me with the blowtorch. I eyed Peter and his blowtorch suspiciously as he returned to where I stood cradling my newly corked bottle in an effort to protect it from whatever the torch was meant for. It wasn’t until Peter instructed me to choose a wax color that I realized the purpose of the blowtorch. I watched with childlike enthusiasm as he torched the wax and sealed my bottle. He then slapped a label on the bottle and handed it back to me like a doctor presenting a newborn baby to its mother. These kind of personal and memorable encounters are what set AUM Cellars apart from, well, anywhere (that I’ve been). Peter Hoffman (the aforementioned guy with the blowtorch) is the owner, operator, winemaker, viticulturist, tasting host and, therefore, heart and soul of AUM cellars. 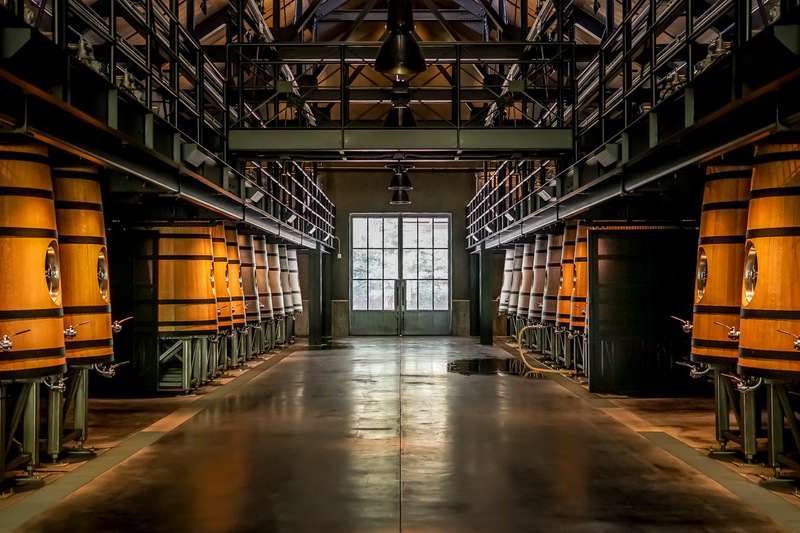 There are very very few places in Napa (or anywhere for that matter) you can visit and get a personal tour from a winemaker who’s also the wine grower. Therefore, this intimate look into the cellars and its organic and biodynamic wine growing/making process was honestly the most informative (and entertaining) I’ve had. Upon arrival, we tasted several wines from the barrel while Peter explained the difference between cane and spur pruning (and had us sip each side-by-side so we could compare). After the barrel tasting we took a field trip across the street to the vineyard where Peter showed us the difference in pruning and growing techniques. It was extremely educational, and his passion was contagious. Throughout the vineyard tour, three sheep kept “Bah”ing at us from their enclosure behind the winery. As we walked past the sheep stable I was secretly hoping we’d be able to pet them and, therefore, quietly rejoiced when Peter opened the gate and instructed us to enter the small enclosure. Despite my short dress and wedges, I entered eagerly (to Peter’s surprise) and spent the subsequent 15 minutes feeding and petting the sheep with the excitement and enthusiasm of a child let loose in a petting zoo (no, the wine had nothing to do with my enthusiasm; and yes, it was definitely worth wobbling on wedges through dirt and sheep poo). 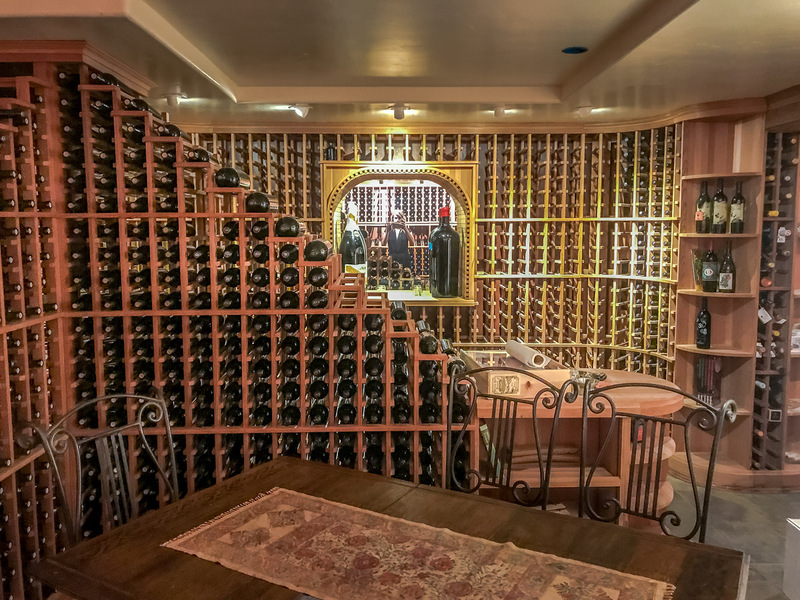 Just when I thought my tasting experience at AUM Cellars couldn’t get any better, Peter took us into the GORGEOUS wine cellar where we continued our tasting. AND just when I thought the wine couldn’t get any better we tried one of his 2014 cabernets and I was officially in heaven. As you can probably tell, I can’t say enough good things about Peter and AUM cellars. I learned a ton, had a blast, and discovered some of my new favorite wine. 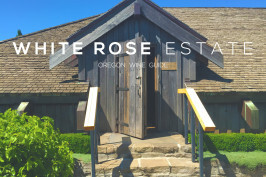 Though this small, under-the-radar winery is the definition of “off the beaten path,” Peter is quick to reward the tenacious seeker of a good tasting experience with unrivaled authenticity, a memorable and educational experience, and some pretty damn good wine. When you’re greeted with a glass of Dom Pérignon, you know it’s going to be a good tasting. When you’re sipping said Dom Pérignon in a Bill Harlan winery, you know it’s going to be a great tasting. Promontory is the latest venture of famed winemaker Bill Harlan. Begetter of Harlan Estate and Baron of Bond Estate, Bill Harlan’s new winery implements similar winemaking techniques (showcasing the unique terroir) as its predecessors, but has neither the ultra exclusivity of the former nor the conventional, decorous of the latter. Promontory was created as the newer, more transparent sister to the preceding estates. Although it’s not the highly exclusive tasting experience of Harlan, it’s pretty close. Tastings here cost $200 per person and are in limited supply (reservations should be made 4-8 weeks in advance). However, if you are able to secure a coveted appointment slot, everything about the experience is exceptional. The tasting experience begins with Dom Pérignon and breathtaking views of the property, at which time your guide shares the story of Promontory and Bill Harlan’s (200-year) plan for the estate. We had a brief geographic discussion of the grounds before walking through the pristine production facility to the beautiful barrel room. There, we tasted one barrel vintage from the impressive stockinger oak casks before proceeding to a private room for an exclusive tasting of two additional vintages. Winery visitors have a unique opportunity to purchase wine and skip the (several year long) waiting list. However, very few purchasers actually walk out with a bottle, as wine can be pre-purchased and shipped once it’s ready/bottled). During my visit, 3-4 vintages were available for purchase with prices ranging from $850-$1,200+. This luxury tasting experience at Promontory was unforgettable and I definitely recommend it for serious wine enthusiasts and collectors. The name Signorello Estate has long been synonymous with award winning cabernet and chardonnay. However, last summer Signorello was making headlines across the country for a different reason. 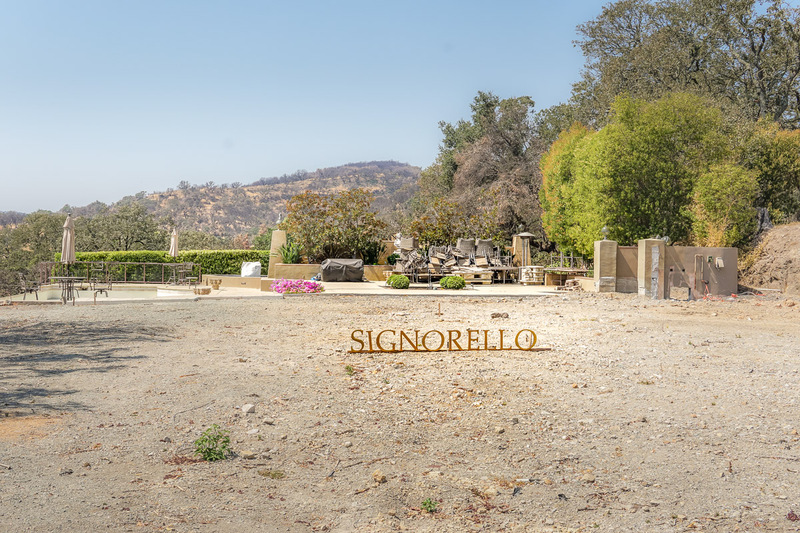 Signorello Estate was one of the wine industry’s worst casualties of the October 2017 Napa wildfires. Despite having lost their beautiful tasting room, the devastation could have been much worse. The vineyard was spared and, by a large stroke of luck, the grapes had been harvested just days prior — so no wine/product was lost. Today, Signorello Estate is open for business, operating tastings out of a temporary 60-by-12ft modular unit located next to where the original tasting room once stood. This interim space will serve as Signorello’s home for the next three years while a new winery/tasting room is built. The (now empty) lot on which Signorello’s original tasting room once stood (prior to fire). Whatever Signorello may lack in space (from the loss of their tasting room), they make up for in hospitality. Signorello Estate has 5 full-time workers, all of whom have worked there for at least 20 years. So it’s a very tight-knit operation where the team is like a family and quick to welcome you into their circle and make you feel at home. The hospitality and warm welcome I experienced at Signorello was among the best I’ve had in Napa, and it definitely left an impression. Guests hoping to visit Signorello can book their new “Estate Experience” tour and tasting ($100 per person, appointment only). 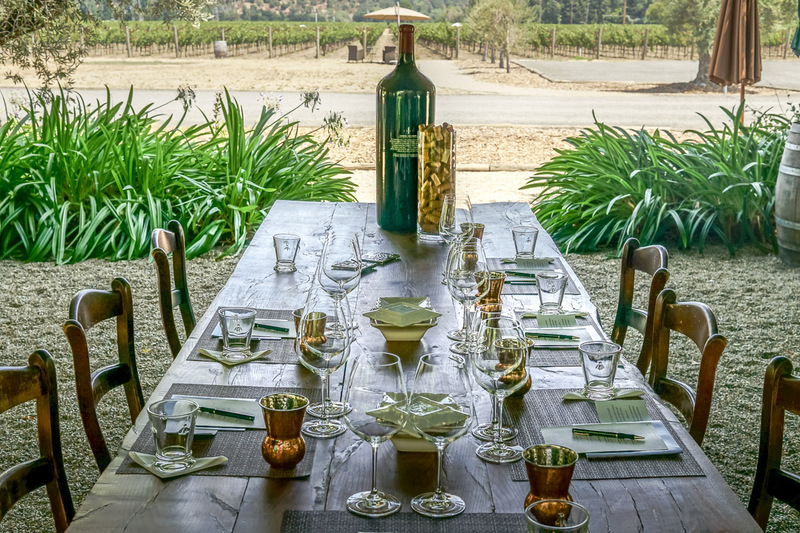 The experience begins with a driving tour of the estate and vineyards, followed by a seated tasting featuring 4-5 wines and paired with small bites. I wanted to highlight Signorello Estate to support those affected by the fire and to showcase the industry’s resilience. However, I was the one who was left feeling fortunate for having been treated to such an amazing experience. Despite the loss of their tasting room, Signorello is thriving and definitely a paragon for the resurgence of the Napa Valley community. Crocker & Starr was a last-minute addition to my Napa itinerary per my driver’s recommendation, and I’m SO happy to have discovered this gem of winery. 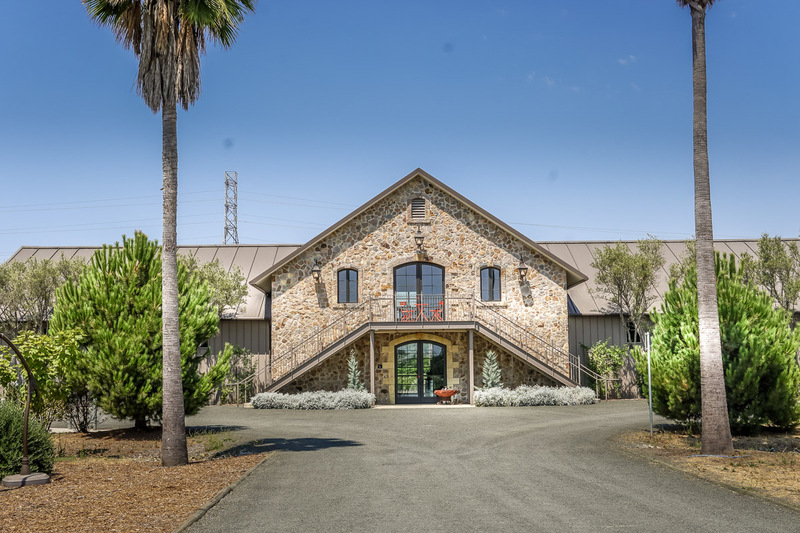 Not only is the property absolutely gorgeous — with 40 year old cab vines, a brand new winery facility (made of stones pulled from the estate) and a beautiful tasting and hospitality space — it’s also operated by an all women team. Immediately upon arrival we were greeted with a glass of Sauvignon Blanc (which was exceptional) and treated to a tour of the vineyard and winery. After the brief tour we tasted our way through 2-3 additional different red wines during a seated tasting in the hospitality room. Though I adored every wine I tasted, the Cab Franc was my absolute favorite (and, one of my favorite wines I tasted throughout my entire Napa trip). From the wine, to the hospitality, to the ambiance, everything about the experience at C&S blew me away. 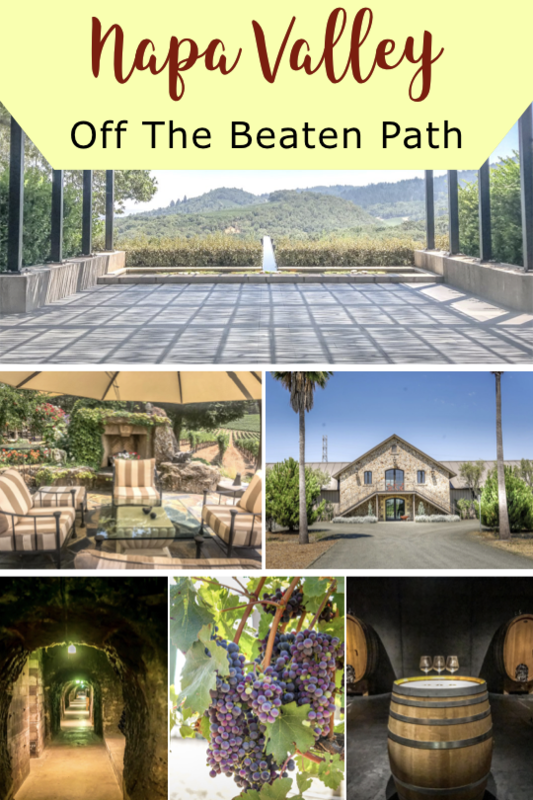 If you’re looking for a personal and intimate tasting of some exceptional wines, I cannot recommend this off the beaten path winery highly enough. Appointments are $45 per person and must be made in advance. At the top of Spring Mountain, down a narrow meandering road, you’ll find one of the most beautiful tasting experiences in the valley. Sherwin Family Vineyards is the definition of “off the beaten path” — and that’s a good thing. The seclusion of this picturesque property imparts a tranquility that’s unparalleled and well worth the trek. The experience begins the minute you arrive at the stunningly beautiful property, and continues as you enter the tasting room and take in the (heavily patriotic) artifacts that adorn the walls and entryway. 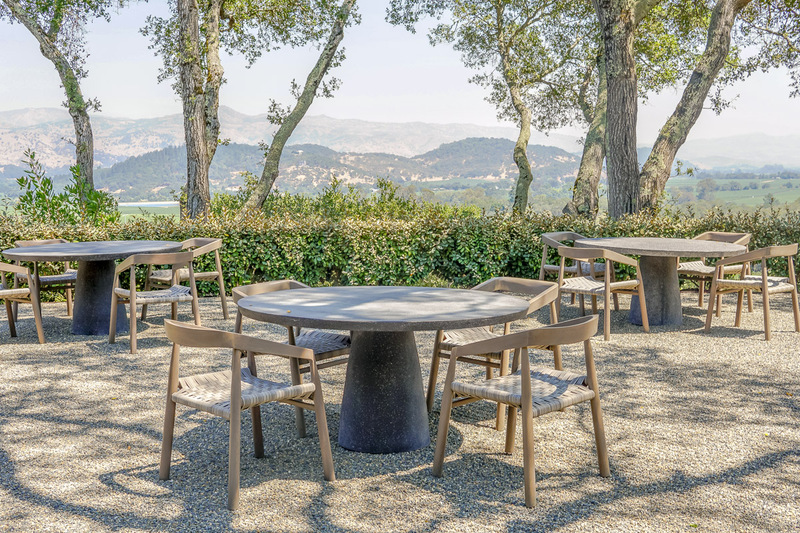 The highlight, however, is when you step out onto the beautiful back deck and choose a seat from which to sip some amazing wines and take in the surrounding vineyard and lake views. 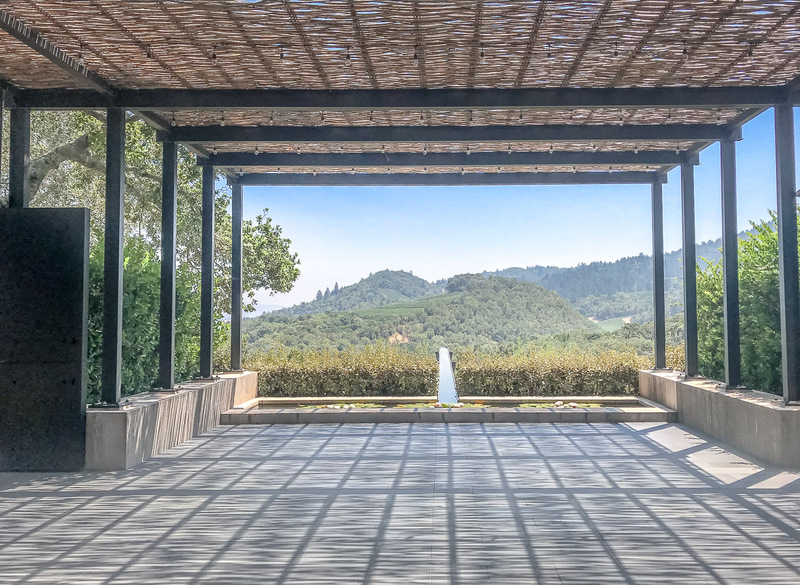 The outdoor tasting area features ample tables (all boasting beautiful views), cabanas, a Bocce Ball court and outdoor fireplace. With so many seating options (and very few patrons on the day I visited), I ended up “testing out” multiple different seats/views and hopped around from cabana, to table, to bench like a child playing musical chairs. As it turns out, Sherwin Family Vineyards is the only company in the US with federal approval to place an image of the American flag on an alcohol label. This permission was granted after Steve & Linda Sherwin (vineyard owners) made a hand-etched, hand-painted design for a magnum bottle they donated to an auction supporting the families of 9/11 victims. The wine (and stunning bottle design) was so well received that the Sherwins decided to produce more for other auctions and charitable causes. They mailed a bottle to the ATF for design approval (since it contained the flag) and, to their surprise, it passed. Today, winery customers have the unique opportunity to purchase — or at minimum take pictures of — these beautiful and very limited bottles. 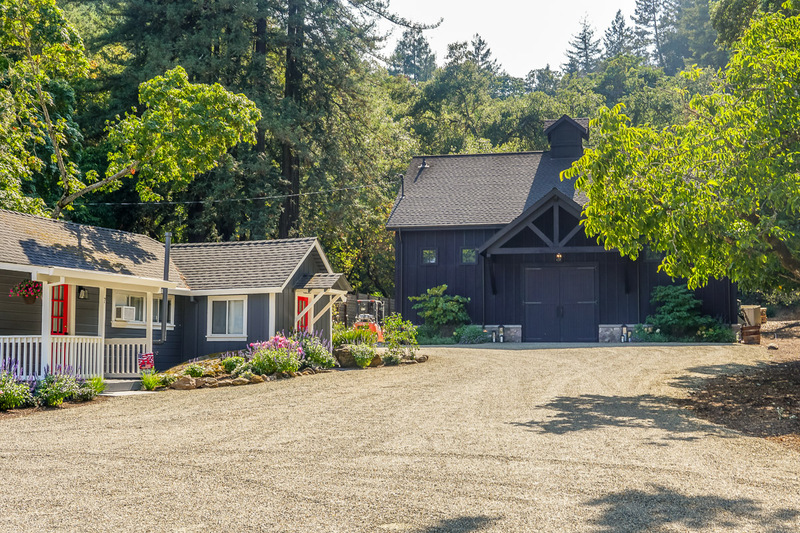 From the interesting backstory and patriotic pour, to their delicious wines and gorgeous property, one thing is certain: Sherwin Family Vineyards rewards those who take the road less traveled with stunning scenery, great hospitality and wonderful wines. Pro Tip: Plan some extra time here. 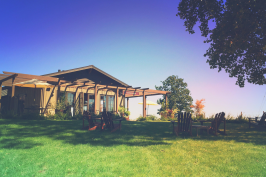 With beautiful views, amazing wines and wonderful hospitality, you’ll want to take your time at this winery and maybe even pack a picnic or buy a bottle to enjoy on the patio. 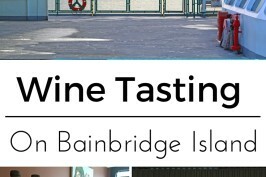 Tastings are $55 per person (waived with $100 wine purchase) and must be made in advance. Warm, welcoming, and as rich in history as in hospitality — AXR is an absolute GEM. Amazing wine, amazing staff and beautiful ambiance, I cannot say enough good things about this lovely boutique winery. The exceptional hospitality began from the moment we arrived and hostess, Anna, rushed out to greet us with a warm welcome and a glass of chardonnay. This personal attention and interaction continued throughout the private tour and tasting. 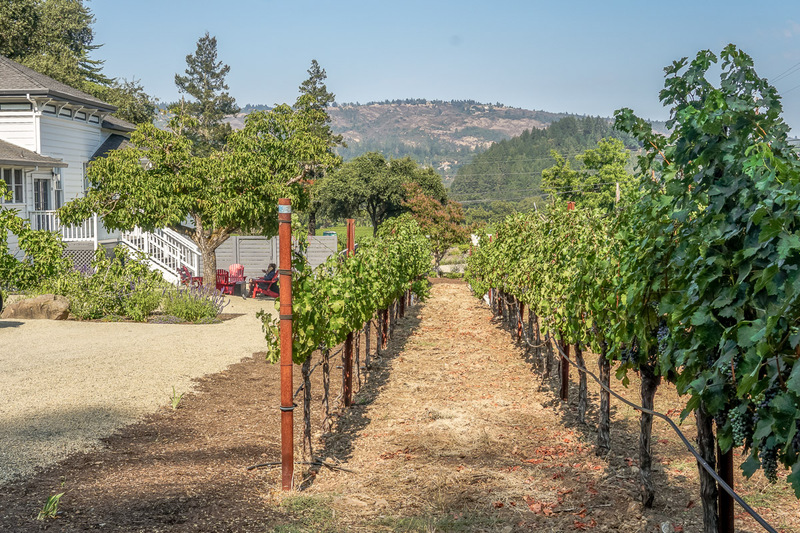 We got to stroll the grounds, visit the barrel room and stop to snap pictures of the redwood trees and vineyard vines that line the property. All the while Anna educated us about the wine and entertained us with stories from the property’s 135-year past (including tales of murder, ghosts, love and all the lives this property had lived before it became the winery it is today). After the tour we entered the beautifully decorated tasting room where we continued with a private, seated tasting on the veranda. 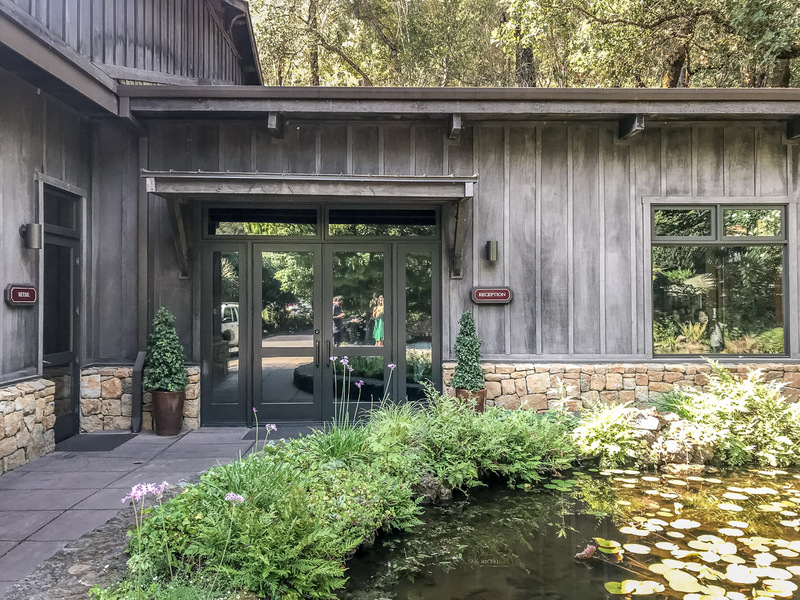 The newly refurbished tasting room is located inside the original estate owner’s home from the 1800’s (and is rumored to be haunted by the original owner, August). The design and decor are absolutely stunning. 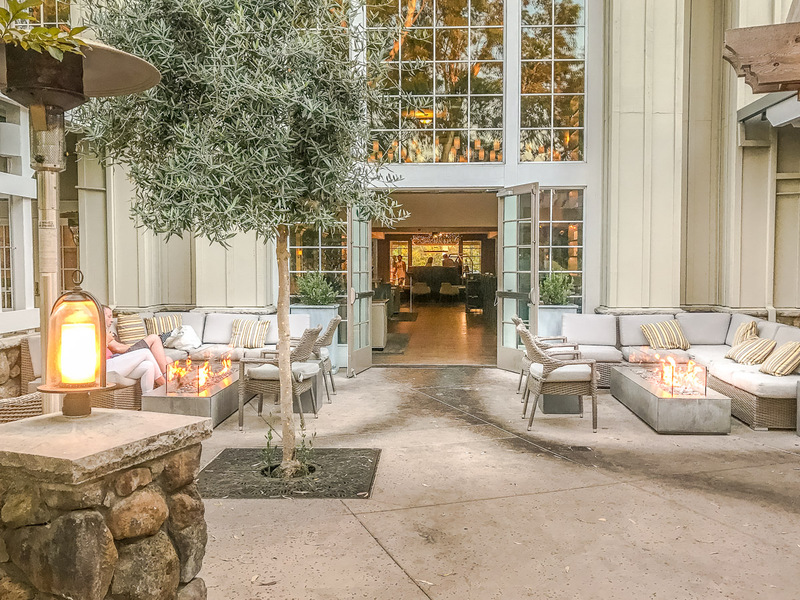 If you’re looking for wonderful wines, exceptional hospitality, and potentially a little paranormal activity, AXR is an absolute must when visiting Napa. Tastings are $50 per person, by appointment only. A little creepy, a little romantic, Schramsberg’s 130-year-old candlelit caves are a sight to be seen. With a history dating back to 1862, Schramsberg is not only one of the oldest wineries in the state, it’s also a California historical monument. Today, the caves house more than 2 million bottles of aging sparkling wine, and visitors can join an educational cave tour (to learn how sparkling wine is made), before tasting through 5 different sparkling wines during a seated/guided tasting that follows. In addition to the breathtaking caves and — of course — the delicious sparkling wine, I found it fascinating to learn about the history of the estate (the original cave took Chinese workers 17 years to dig) and how the wine was made. 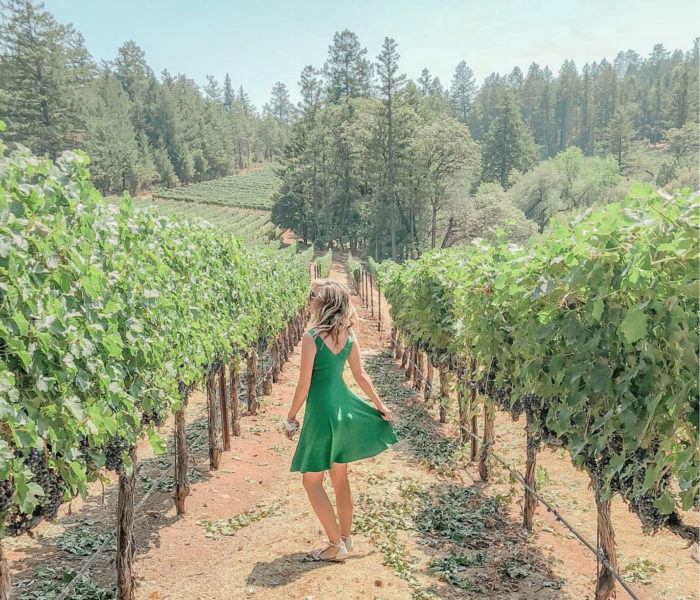 All in all, Schramsberg wine gives French champagne a run for its money, and the breathtaking caves and educational tour is a must when visiting Napa. The tour groups are limited to a small size, so be sure to book as early in advance as possible to ensure your spot. Appointments required. $70 per person. This post was done in collaboration with Priceline. As always, all thoughts and opinions are my own. I love California but haven’t been to Napa Valley before. Thanks for sharing all these great tips! Oh my goodness, Napa Valley does look heavenly! If I didn’t know what or where it was and had to guess just looking at the pictures, it doesn’t even look like California. The inn is also amazing. You’ve inspired me to look into a trip! I love this blog post! I really wish I could go when I was in California, but I guess I only have to go again #ohno I didn’t know it was that many visitors to Napa Valley annually, but I can totally see why. We keep saying we need to take a trip down to Napa, and this post is real incentive to go. The Inn you stayed in looks amazing, too! Couldn’t have read this at a better time, I will be visiting Napa next month. Thank you so much for the detailed review. You paint a beautiful picture of Napa Valley! I have always wanted to visit. Hopefully sometime soon.